Narendra Damodardas Modi is the current and 14th Prime Minister of India. Here are some interesting facts about India’s most techno-savvy leader. Modi was born on 17 September 1950 (age 67), Vadnagar to Damodardas Mulchand Modi and Heeraben Modi. He was the third of six children. Modi served as a volunteer to the India army at the railway stations during the Indo- Pak war of 1965. 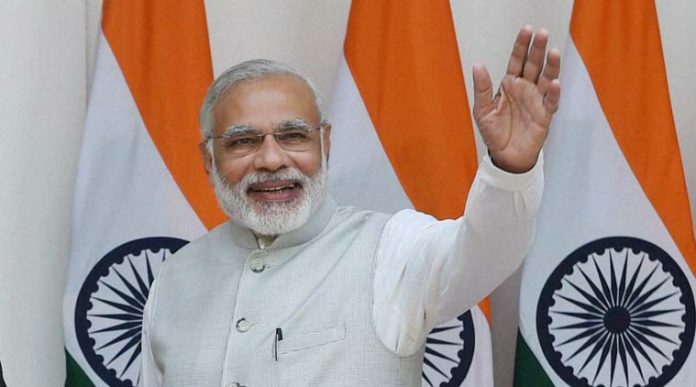 Modi’s father had a tea-stall at the Vadnagar Railway Station in Gujarat and young Narendra Modi often lent his hands in selling tea at the station. When he was a Class 8 student, Modi was attacked by a crocodile while swimming in a lake, resulting nine stitches on one foot. He left home after graduating from school, partly because of an arranged marriage with Jashodaben Chimanlal which he rejected. When he joined RSS, his first job was to mop the floor at the RSS Headquarters in Ahmedabad. He joined BJP in 1987, that year when BJP won Ahmedabad Municipal Election and from that point forward it never lost the Municipal Election in Ahmedabad. Modi’s clothes are always creaseless. He generally purchases the cloths from ‘Jade Blue’, which is an Ahmedabad based material organization. Modi undertook a three months course in the United States where he was given lessons on image management and public relations. He only sleeps for 5 hours a day. Irrespective of the time when he hits the bed, he is always up by 5:30! He is a great follower of Swami Vivekananda and has read a number of books on Swami Vivekananda page-to-page. Born on 17 September 1950, Narendra Modi is the first ever Prime Minister to be born in the Independent India.